Vincenzo Nibali (Astana) won the last stage and overall classification of the Giro del Trentino on Friday after launching a solo attack on the final climb to the line in Sega di Ala. Bradley Wiggins’ (Sky) chance for a stab at the title faded as he suffered mechanical issues. 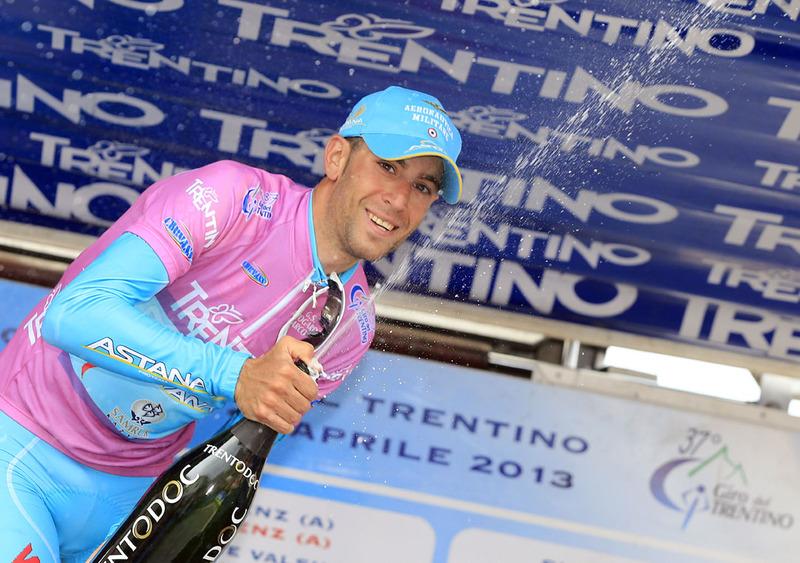 Mauro Santambrogio (Vini Fantini) placed second on the stage with Przemyslaw Niemiec (Lampre-Merida) in third. Overnight leader Maxime Bouet (Ag2r) put in a spirited ride to try and cling onto the leader’s jersey, but finished 4-42 behind Nibali, losing his position at the top of the general classification. The Frenchman did enough to hold on to a podium position, finishing third overall with Santambrogio in second. 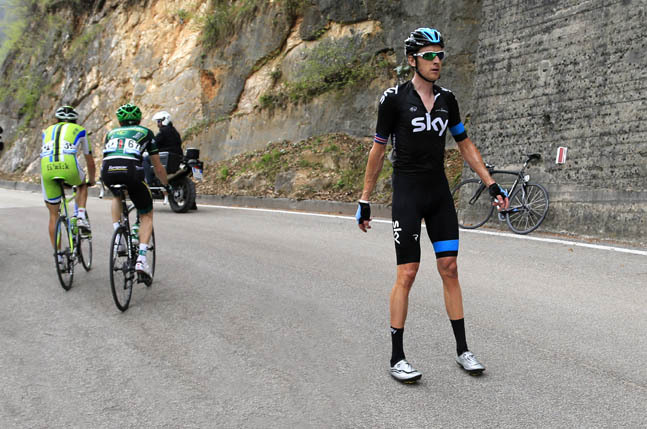 Disaster struck for Wiggins at the bottom of the final 14.6km ascent after he suffered from a mechanical problem. Wiggins shoved the malfunctioning bike acorss the road and against a wall in disgust and lost valuable time waiting for a replacement. After re-mounting, the Brit had his work cut out for him trying to regain contact with the leaders. Just as Wiggins looked to be reaching the Nibali/Santambrogio/Cadel Evans (BMC Racing) contenders group, Nibali attacked with Santambrogio in tow. The pace was too high for Wiggins to catch them after expending so much energy in the earlier chase. Nibali forged ahead, eventually dropping Santambrogio to take the win. Wiggins limited his losses and came home in a creditable ninth place on the stage to slip from third to fifth overall. The Brit will next be seen in action in the Giro d’Italia in May. Also putting in a strong performance on the final mountain was 2011 Tour de France winner Evans, who rode himself into fifth on the stage and eighth overall.